Vacation in Tamarindo? 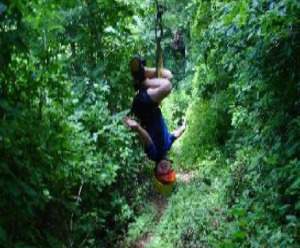 Then you know that canopy tours (Tamarindo zip line tours) are a must have when visiting Playa Tamarindo. 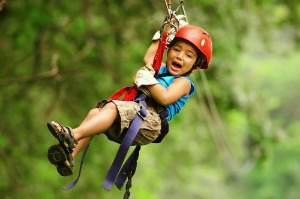 This excursion, zip line near Tamarindo, is locally operated and only a few minutes away from Tamarindo. Maximum driving time is 20 minutes. This zipline Tamarindo Costa Rica operation consists of 8 zip lines and 10 platforms. The operator takes the job seriously, without forgetting the importance of having fun! It is a professional team with the objective to provide our customers with an unforgettable adventure. Full of happiness and the rush of adrenaline, however with the priority first the safety of our customers. You will not be disappointed when booking your Tamarindo zip line tours with us!